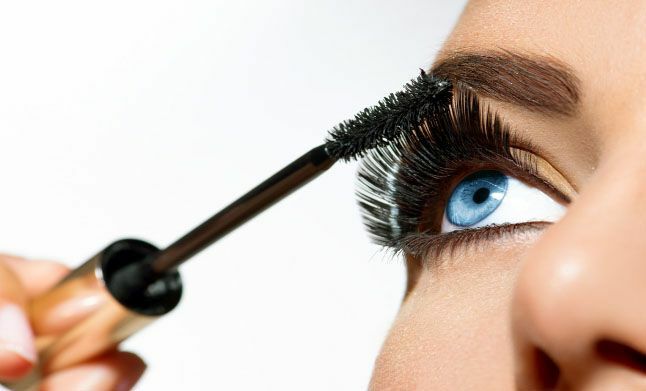 Mascara is a cosmetic used to make your eyelashes fuller and more attractive. It is probably one of the most popular cosmetics used by women all over the world. Women want to highlight their eyes to enhance their overall appeal. One of the main reasons why women love to apply mascara is to make the eyelashes appear much longer and add volume. Not everyone is blessed with long and attractive eyelashes. That is why mascara is used mostly by women who have short, fine eyelashes. This does not however limit people from using this magic wand. Mascara is used for all types of make up from the natural day appearance to the more glamorous nighttime makeup. It has greatly evolved since its invention in the 19th century. Mascara comes in different formulations, using wax as its most basic ingredient. It appears that every so often a new formulation is available in the market, which promises to make your eyelashes long and voluminous. Confusing as it may seem, your need to determine the types of mascara in order to arrive at the best formulation to enhance your eyelashes. Your options include the non-clumping, the curling type, waterproof, the lengthening, and the volumizing type. Let's start with the Non-clumping type. It contains additional ingredients like silk extract and glycerin for that smooth and even application. It also comes with a longer wand that ensures minimal clumps. Lash curling mascara promises to give your lash a curl upon application. The best waterproof mascara does not contain water sensitive ingredients. It has synthetics that repel moisture, which is resistant to sweat, tears and rain. This is perfect for weddings, athletes and outdoor use. This product can only be removed by using certain types of make-up remover. However, it is not recommended for people with delicate lashes since it contributes to breakage. The best lengthening mascara is the perfect option for short lashes. It has dense bristles that permit the distribution of the product all over the lashes most especially on the tips for that longer effect. Volumizing mascaras are called that way because they add volume. It contains a thicker formula of both wax and silicone polymers that make your lashes appear fuller. For women who have short fine eyelashes, the best formulation will be the one that adds length and gives extra thickness. You can find both types in one product and there are lots of brands to choose from. If you can find a product that lengthens and thickens with the curling formulation, it's definitely a good find. The curl will give your eyes that additional lift. Mascara brushes are also essential in choosing the perfect mascara for you. Straight brushes are best for applying those hard to reach lashes at the corner of your eyes, while the curved one can coat more lashes in a single application. There is a wide range of products to choose from. But whatever you choose make certain that your mascara does not cause more damage to you lashes. Check out the label and look for ingredients that are good for your lashes.